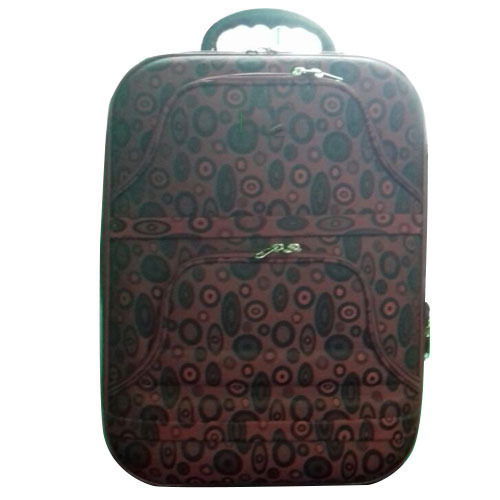 Being one of the leading organizations in the market, we are instrumental in providing an exclusive range of Printed Trolley Luggage Bag. Founded in the year 2014 at Kolkata, (West Bengal, India), we “Dey International” are a Sole Proprietorship Firm, engaged in manufacturing, trading and wholesaling a high quality range of School Bag, College Bag, Laptop Bag, etc. Driven by ambition of our mentor “Samaresh Dey (Proprietor)” we have attained a reputed status in this competitive domain. We offer our products under brand name Bina.